The number one reason for visiting the city of San Sebastian, in Spain's Basque region, is to sample its fantastic cuisine. Basque gastronomy has gained its fame largely for two quite different areas of the culinary world: Pintxos (the Basque word for 'tapas') and Michelin star restaurants. But San Sebastian has much more to offer. San Sebastian is in the Basque Country on the north coast of Spain, close to the French border. San Sebastian is 101 kilometers from Bilbao, 464 kilometers from Madrid, 561 kilometers from Barcelona, and almost 1,000 kilometers from Malaga. You can reach San Sebastian via car, bus, or train. You can also fly in from Barcelona or Malaga. While three days is not enough to savor all that San Sebastian has to offer, this three-day itinerary will give you a good taste of this culinary capital. After checking in to your hotel, you'll probably want to head straight out to eat. San Sebastian's biggest draw is its pintxos bars, with a great selection in the compact old town. Start on Calle 31 de Agosto and check out some of the bars there. Get there a bit before 1 p.m. to beat the crowds. You can explore on your own and sample as you go. Pintxos in San Sebastian are a great way to sample some of the most fantastic cuisines in the world, cheaply and risk-free. With portions small, prices low, and service quick, even if you don't speak Spanish or are a particularly fussy eater, you can order pretty much at random and move on to the next one if what you ordered isn't to your fancy. Plus, many bars have food on the bar-top that you can either help yourself to or point to purchase. Tours are also available. A three-day guided tour of San Sebastian includes a guide to San Sebastian pintxos that includes eight pintxos at the bars of your choice. Another option is to purchase a Pintxo Passport, a great way to get some expert guidance while exploring San Sebastian food independently. The Pintxo Passport includes a detailed description of eleven top pintxo bars, old town map, phrasebook, and wine guide. It comes with six wooden tokens for six bars which provide you with a drink in each bar and a special pintxo plus 1 special token for a cocktail in the Hotel Maria Cristina dry bar. The Pintxo passport does not expire. All you need to do is show the bar the passport and hand in a token. The classic approach where you, a professional tour guide, and (sometimes) some other tourists visit three pintxo bars and have a drink and a bite to each in each is also an option if your time is limited. On your first day in San Sebastian, after you've gone for a few pintxos, you should explore the city a little. San Sebastian Old Town: Also known as the Parte Vieja (old part), you'll already have seen much of this on your tapas crawl. One of the most iconic sights in this area is the Plaza Zuloaga and the San Telmo Basque Museum. Concha Beach: Some say this is the best city beach in Spain. If you ate too many pintxos here's a great spot to let your food digest. However, it might be better to use your first day for exploring the city and save your last day for lazing on the beach once you know the city a little better. 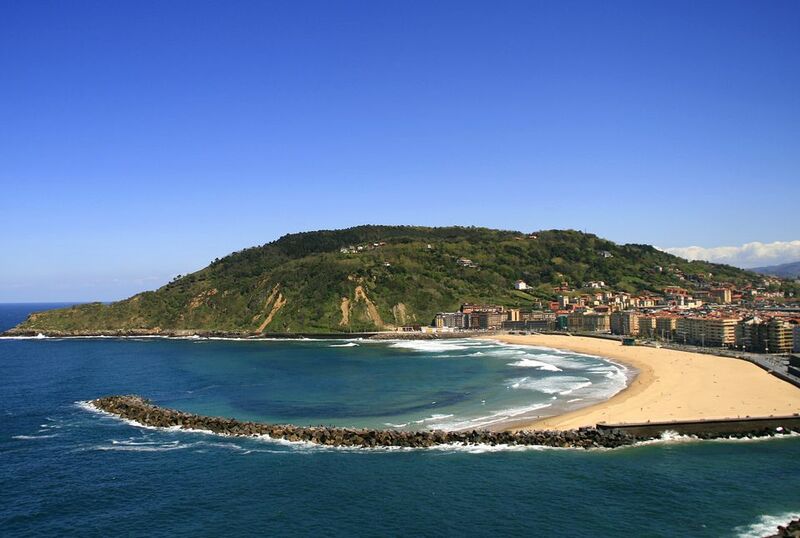 Monte Urgull: San Sebastian's Bay is straddled by two large hills, with both offering fantastic views of the city. At the top, there is a small museum, the Casa de la Historia. Monte Igueldo: The other hill in San Sebastian, at the other end of the beach from central San Sebastian. You can take a century-old funicular railway to the summit of Monte Igueldo for the view. For dinner, visit a Basque cider house. Basque cider is much like the better-known Asturian cider, a sour, virtually-flat alcoholic drink that is usually poured from up high into your glass before being downed in one go. At a Basque cider house, the cider comes straight out of a large barrel, forced out at pressure, and squirted into your glass ten feet away. A visit to San Sebastian wouldn't be complete without a day trip. 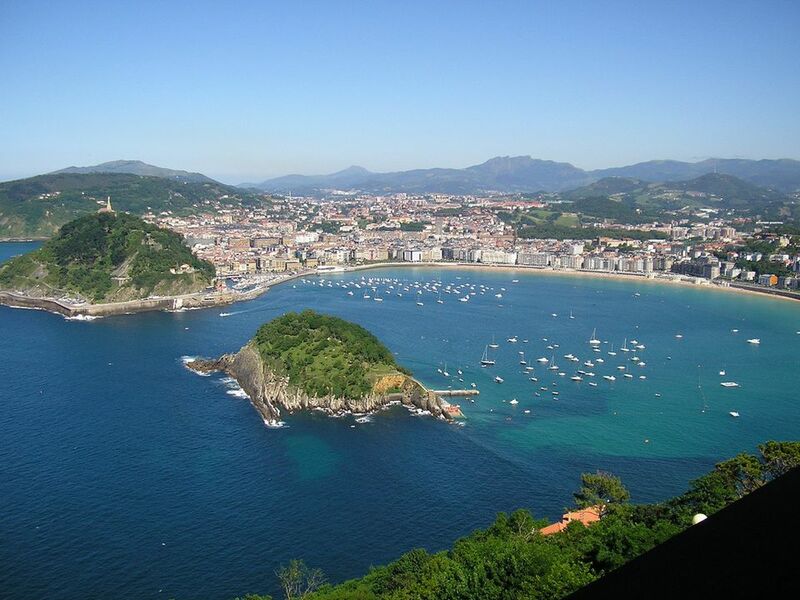 If you are in San Sebastian for three days, we'd suggest that you pick one day to travel out of the city. Then, in the evening, go to one of the city's three-star Michelin restaurants. Here are a few suggestions. Rioja is one of the best-known wine regions in the world, renowned for its excellent and good value reds. Laguardia is one of the best towns in the region for exploring the local wines. Enjoy a meal in a wine cellar. Unfortunately, public transport connections are poor, so if you don't take a tour, you'll need a car with a designated driver. Bilbao, just an hour away from San Sebastian by train, is home to the Guggenheim Museum, one of the best modern art galleries in Europe. The exterior of the building itself, designed by Frank Gehry, is a work of art. Bilbao is an easy day trip from San Sebastian, the bus station in San Sebastian is pretty central, and there is a tram from Bilbao bus station directly to the Guggenheim and then on to the city center. One of the most beautiful villages in the Basque Country, Hondarribia lies just on the Spanish side of the border with France; The town is surrounded by a city wall, the only remaining such fortification in the region. There are excellent pintxo bars and restaurants around the marina. The E21 bus from the Ekialde bus company runs every hour from San Sebastian to Hondarribia. This is a small Basque fishing village on the Bay of Biscay where the bars have open grills on the street to cook fresh catches in time for lunch. This is street food like it used to be. There is an old town to explore and beautiful views. It's also in the Txakoli wine region with great white wine. The Basque Country has great wine of its own: Txakoli, a slightly sparkling white wine that has improved over recent years. It used to be made in a pretty basic way, designed to be drunk much like Basque cider—poured from a height to aerate it so to reduce the acidity. But more recently the standard of production, particularly those made by Elkano, has improved greatly. Some of the nicest white wine in the world is Txakoli. You can take a day tour to explore some wineries and vineyards. For dinner, if your budget allows, visit one of San Sebastian's Michelin star restaurants. By Michelin restaurants, we're talking about those that have received three stars which is the highest that can be awarded. And there are three such restaurants in San Sebastian, the most for any city in Spain. In fact, San Sebastian probably has the best Michelin-star-per-head ratio in the world. Of course, reservations are essential. Book as far ahead as you can. You have three restaurants with the highest number of Michelin stars. So you've explored the old town and taken a day trip. You've sampled two or three of San Sebastian's most famous areas of cuisine: Pintxos, a cider house, and perhaps a Michelin restaurant. Now its time for some recreation. Mundaka, just outside San Sebastian, has one of the best left-hand waves in the world for surfing and the ASP World Surfing Championships used to be held here. Visit the Mundaka Surf Shop for rentals and lessons. If surfing sounds a bit intense, there are other water sports in San Sebastian such as kayaking and stand-up paddle boarding. If your trip so far has tired you out (and if the weather permits), there's always the beaches to enjoy. Climb one of the two hills on either side of the beach for views that will stay in your memory as a highlight of your trip to San Sebastian.